Everyone loves a tropical island. Rolling green hills, crimson sunsets, crashing blue waves; when we think "paradise," we think of the tropics. With its finely tuned engine and sprawling island setting, Far Cry 3 was easily one of the most gorgeous video games of the year. The drug sequences were awfully pretty, too. Of course, nothing spices up a gorgeous location like some extreme violence. 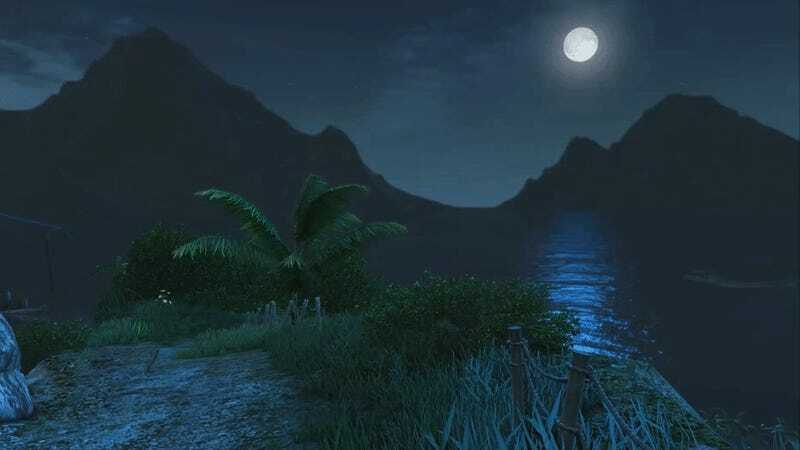 And Far Cry 3 had plenty of that, too. This cinemagraph by Chris Person lets us relive one the Rook Islands' often striking nighttime vistas. Take a deep breath, and you can almost smell the ocean air. And the blood, and the gunpowder.